How you choose to spend your school’s CPD budget will directly impact outcomes for your students. We are so confident in our technology and implementation support services that if you don’t see an impact, we’ll give you your money back*. 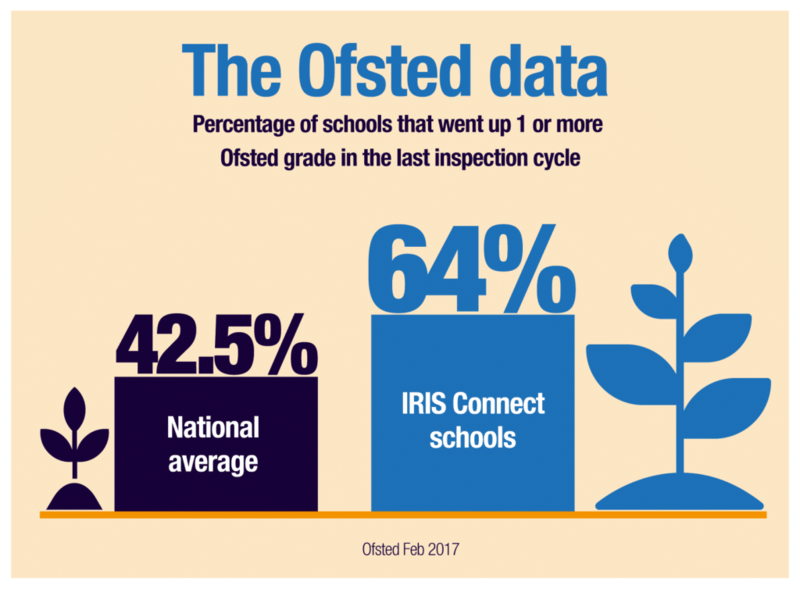 An analysis on Ofsted data (February 2017), found that 64% of schools regularly using IRIS Connect improved by at least one Ofsted grade in their last inspection cycle, compared to 42.5% of other schools. 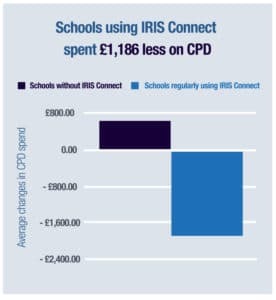 Want to know how much IRIS Connect could save your school on CPD? Leave your details and we’ll be in touch. How can your school save money with IRIS Connect? 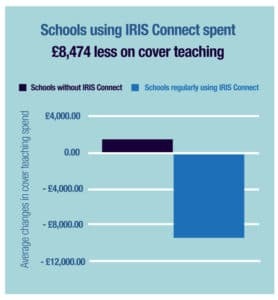 Schools that have standardised on the use of IRIS Connect to improve observation and feedback see a significant reduction in lesson cover costs and are able to provide more supportive opportunities for staff. I use IRIS Connect regularly to record myself doing model lessons, which I share with several NQTs, RQTs and student teachers at once. We don’t have to provide cover for colleagues to watch model lessons and several colleagues can benefit from one model lesson. Video makes it more time efficient to tap into the wealth of expertise within your professional learning community. This means that there is less need to seek expensive external input and coaching. 95% of teachers engaged in our learning programme report changes to their practice as a result. I saw changes to teachers’ practice almost immediately as a result of taking part in IRIS Connect Film Club. Imagine…all of the English teachers across a MAT sharing resources and effective strategies at the click of a button. With IRIS Connect Groups you can plan, observe, and share resources. You can also give and receive feedback over distance, saving on the cost of travel and lesson cover whilst enabling meaningful collaboration at scale. You can even share with schools who don’t have IRIS Connect via a network licence. Two schools have created cross-school Groups in the IRIS Connect platform that allow peer-coaching between teachers of the same year groups across the two schools, which are 80 miles apart. Recruitment costs are crippling for schools. Teachers using IRIS Connect report improved self-efficacy, which is shown to reduce staff turnover. Ongoing professional development is increasingly key to recruitment and retention, IRIS Connect plays a part in that.”. How is IRIS Connect being used? What do our customers say about IRIS Connect?